One of the many reasons why I love the horror genre is that it allows us to explore our deepest fears in a safe space. Most of these anxieties involve fear of the unknown and loss of one kind or another. 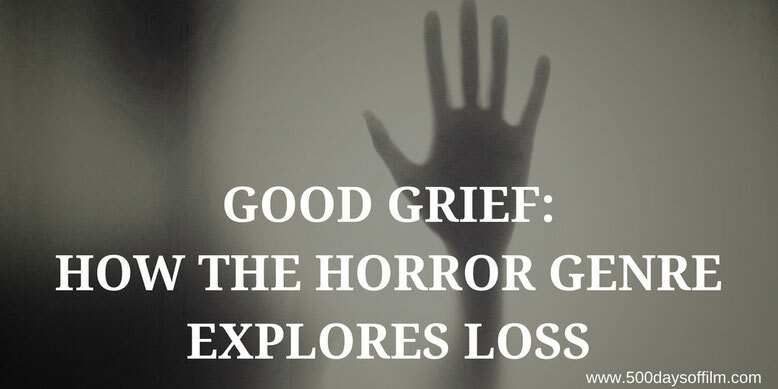 Loss of safety, loss of security and - most terrifying of all - the loss of a loved one. Why, you might well wonder, would we want to put ourselves through this particular emotional wringer? Why explore something so horrible? Well, one reason is that such film experiences can be incredibly cathartic. No discussion of bereavement in the horror genre would be complete without mention of Nicolas Roeg’s superb Don’t Look Now. Grieving over the accidental death of their daughter, Christine (Sharon Williams), John (Donald Sutherland) and Laura Baxter (Julie Christie) travel to Venice where John has been commissioned to restore a church. There, Laura meets two sisters who say they are in contact with the spirit of the Baxters' daughter. Wracked with guilt and desperate to believe, Laura takes their claims seriously. However, John remains sceptical. Until, that is, he catches a glimpse of someone familiar on the streets of Venice. Jennifer Kent’s terrifying film, The Babadook, explores the overwhelming and disorientating impact of grief. Following the tragic death of her husband, Amelia (a brilliant performance from Essie Davis) is a left to bring up her extremely demanding son, Samuel. She is absolutely exhausted as, plagued by nightmares, Samuel keeps her awake - every night. Stretched to breaking point, Amelia still makes time to read to Samuel before bedtime. One night, they find a new pop up book called The Babadook. Amelia starts to read - realising too late just how dark and scary the story will become. As well as being a bone chilling mystery, JA Bayona’s debut feature, The Orphanage, also examines how (heartbreakingly) difficult it is to let go of a lost loved one. Laura (a powerful portrayal by Belén Rueda) cannot rest until she has found her young son Simón (Roger Príncep) who has gone missing from the orphanage she is restoring. The depth of her anguish is palpable and, as a result, we completely understand her desire to believe in the supernatural - something beyond the grave. That we care so much about Laura’s plight enables Bayona to create some of cinema’s scariest and, ultimately, most devastating scenes. Portrayed in a documentary style - with to camera interviews and found footage elements - Lake Mungo is a hidden horror gem. After sixteen-year-old Alice Palmer goes missing while swimming in the local reservoir, her grieving family start to experience a series of strange and inexplicable events in and around their home. Joel Anderson’s film really creeps up on you and contains some extremely tense and deeply unsettling moments. However, it is Lake Mungo’s powerful and authentic depiction of grief that lingers long after the credits have rolled. horror film and also a moving story of loss. My honourable mentions would, perhaps, include The Descent, Pan’s Labyrinth, AntiChrist and Pet Sematary. Let me know your thoughts on these five films or what movies you would add in the comments section below or via Twitter. You can find me @500DaysOfFilm.